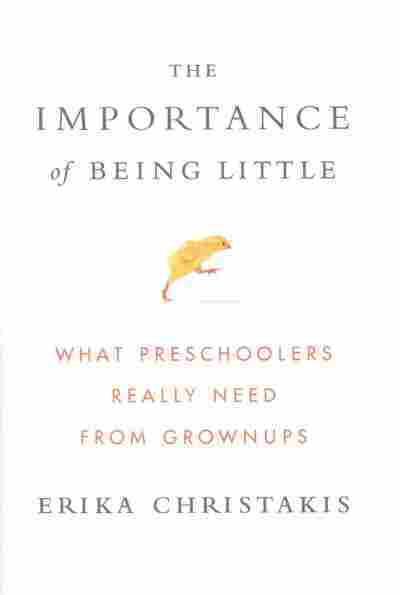 What Kids Need From Grown-Ups (But Aren't Getting) : NPR Ed Author Erika Christakis mounts a spirited defense of a four-letter word that, she says, isn't used nearly enough in early classrooms: play. If the name sounds familiar, that's likely because Christakis made headlines last October, writing an email that stirred angry protests at Yale, where she is a lecturer at the Yale Child Study Center. When a campus committee sent students a memo urging restraint in choosing Halloween costumes and asking them to avoid anything that "disrespects, alienates or ridicules segments of our population based on race, nationality, religious belief or gender expression," Christakis wrote a memo of her own. She lauded the committee's goals of trying to encourage tolerance and foster community but wondered if the responsibility of deciding what is offensive should fall to students, not their administrators. "Have we lost faith in young people's capacity — in your capacity — to exercise self-censure, through social norming, and also in your capacity to ignore or reject things that trouble you?" Christakis wrote. Many Yale students accused Christakis of being racially insensitive and called for her ouster. In December, she stepped down from her teaching duties, telling The Washington Post, "I worry that the current climate at Yale is not, in my view, conducive to the civil dialogue and open inquiry required to solve our urgent societal problems." What does Christakis' role in the heated debate over racial insensitivity and free speech on campus have to do with her views on preschool? Surprisingly, a lot. I spoke with Christakis about her new book and the turmoil at Yale. Here's an edited version of our conversation. 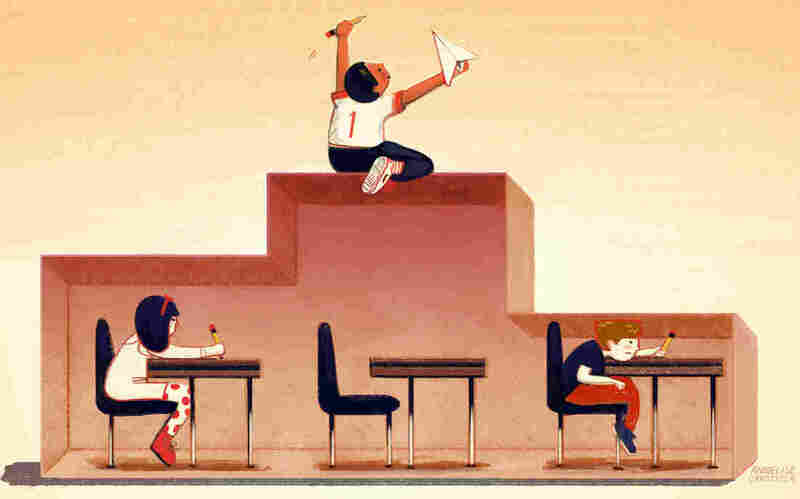 What is this phenomenon that you call "the preschool paradox"? It is the reality that science is confirming on a daily basis: that children are hardwired to learn in many settings and are really very capable, very strong, very intelligent on the one hand. On the other hand, the paradox is that many young children are doing poorly in our early education settings. Why do you think so many educators and policymakers have come to see play and learning as mutually exclusive? Yeah, it's incredibly weird — this fake dichotomy. The science is so persuasive on this topic. There's all kinds of research coming not only from early childhood but animal research looking at mammals and how they use play for learning. Playful learning is embedded in relationships and in things that are meaningful to children. I use the example of the iconic [handprint] Thanksgiving turkey. When you really get into what's behind those cutesy crafts, a lot of curriculum is organized around these traditions, things around the calendar, things that are done because they've always been done. What are the most important skills we need to foster? I think the No. 1 thing is that children need to feel secure in their relationships because, again, we're social animals. And children learn through others. So I think the No. 1 thing is for kids to have a chance to play, to make friends, to learn limits, to learn to take their turn. I actually won't accept the term non-cognitive skills. Right, and I would argue that many so-called academic skills are very anti-intellectual and very uncognitive. Whereas I think a lot of the social-emotional skills are very much linked to learning. What is high-quality preschool to you? The research base is pretty clear. I'll start by telling you what it isn't. We start by looking at two variables. One set are called "structural variables" — things like class size, student-teacher ratios, or even the square-footage of the classroom and what kinds of materials are in the classroom. Which seems like a hard thing to measure. It's actually not. And there are many good measures — things like: Is the teacher on the floor with the child? Is the teacher asking open-ended questions? You know: "Tell me about your picture" versus "Oh, cute house, Bobby." It's actually not that hard to measure. You mount a spirited defense of unscheduled kid time [at home]. Less shuttling to and from sports practice, dance practice, swim lessons. Be sure, you say, to give your child time to sit on the floor and stare at the ceiling if that's what they want to do. I know a lot of parents who would find that view heretical. That's because we don't have faith in young children. And we don't really have faith in ourselves. And we've been programmed to believe that the more enrichments we can add on [the better]. I think there's a little bit of a repair process that we need to engage in. Because if you've got a kid who's used to going to a million lessons and only uses toys that have one way of using them and then, suddenly, you put them in a room with a bunch of boxes and blocks and say, "Have fun! ", the kid's gonna say, "Are you kidding me? What?!" I want to transition to Yale now. You were talking about creating a safe space earlier — for preschoolers. In a video taken of Yale students responding angrily to your Halloween email, one African-American woman berates your husband, who co-manages a residential college with you. She yells, "It is your job to create a place of comfort and home for your students, and you have not done that." Is it possible to create a space that is intellectually safe, where free speech prevails, that is also comfortable? I guess the question would be, "Is comfort the goal?" My hope is that young people of all ages could feel safe in a community where dialogue is welcome. That doesn't mean you get to scream at people and throw things at them. I would like to see people feel safe in a community where they could have different ideas. We had at Yale a representative from Planned Parenthood come to speak. I think it would be really great if we also had an alternative view, and that people could listen and say, "You know what? I really disagree with that, but this does not threaten me to my core. I can disagree. Maybe I can even hone my argument better by hearing an alternative view." I think we can have a safe community, but does that mean that we're always comfortable? Well, I think that's very unrealistic and probably not a good idea to aspire to being comfortable all the time. You wrote in your email: "Have we lost faith in young people's capacity — in your capacity — to exercise self-censure, through social norming, and also in your capacity to ignore or reject things that trouble you?" The counter-argument, lodged by many Yale students, is that some things — including Halloween costumes — are simply so offensive, culturally, that not only can they not be ignored, they shouldn't be allowed in the first place. What do you make of that argument? I want to be clear that I would probably agree with the vast majority of things that my critics find offensive. So I think I have been very misunderstood. Yes, there are things that are horrible. There are things that offend all of us and hurt our feelings. I also would argue that much of it is context-based. As I heard from many students after the fact, people have really different ideas of what is hurtful. And there were things in the [Yale committee's] email that didn't address some people's hurts. For example, costumes about disability. I think my point was, because context matters and because the world is full of injury and there is no question that some people bear a disproportionate burden — I accept that — we can't really create a world where administrators, teachers or parents can insulate people from these kinds of things. Now, I do want to be clear: There are all kinds of ways to respond to being hurt, including filing a police report, reporting to your supervisor or professor or RA in a dorm, talking with your friends, ignoring. To me, I think the social norming piece is really important because I believe we put way too much faith in these administrative guidelines, "suggestions." We can't really predict people's intent. Often people use Halloween as an expression of satire, biting humor, and so we don't know. In fact, we had an amazing conversation with David Simon [creator of HBO's The Wire]. He came to speak to our students, and he was really pushing them. If you go to a Mardi Gras parade in New Orleans, you know, you're gonna see things that would strike the average Yale student as offensive. But if you understand the history and the context, then there's a different interpretation. As I've grown older, I've grown more confident in young people to have these conversations, to fight for their rights, to sometimes ignore things. They have a whole toolkit of strategies, and we have to start at a really young age, giving kids the space to talk to each other, to get to know each other, to listen to each other. That's linking back to my book. I think the habitat has to be one that prizes dialogue and talking and listening skills. We have an opportunity right now to do that for a whole generation. We're kidding ourselves — like with the [preschool] worksheets — there is no limit to the number of suggestions and guidelines we can offer to students, but if they don't understand each other and are not willing to talk to each other and listen to each other, I think that's going to have limited impact. Halloween costumes are sometimes indicative of a long and tortured past of institutional racism and oppression, and it seems what the students were arguing for here was institutional protection — an expectation that, "Why can't the institution just protect us from this craziness?" And how well has that worked out [historically]? I don't mean to be callous. I have great empathy, and I think my teaching and my syllabus reflect that. I'm on the side of young people. But I'm more of an old-school lefty. I think it's very important for us to question establishment responses to things. Sometimes it's very important to have an establishment response, and other times I think it's less helpful. And I would say, proactively trying to manage Halloween costumes, however gently worded, I think there's a downside. Or, at least, let's talk about the potential downside. And I think it might be an erosion of the faith in young people to influence one another and to listen to one another and learn from one another. Why did you resign your teaching post? I have great respect and affection for my students, but I'm worried that the climate of civil dialogue and openness — I'm not sure we're there yet. I have a lot of faith in students. And I think time is a great healer of wounds.